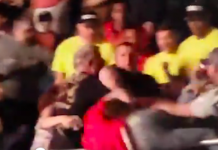 Home MMA News Urijah Faber Smashing Mitts Lightning Fast – WOW! 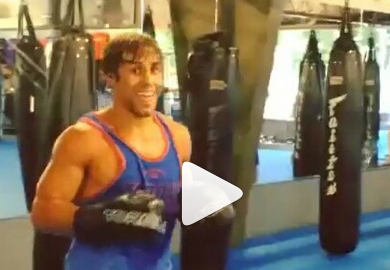 Urijah Faber was tagged in a video by Team Alpha Male teamamte Justin Buchholz earlier today on Instagram. Faber is looking lightning quick and very dangerous leading up to his fight with Alex ‘Bruce Leeroy’ Caceras at UFC 175 on July 5th.